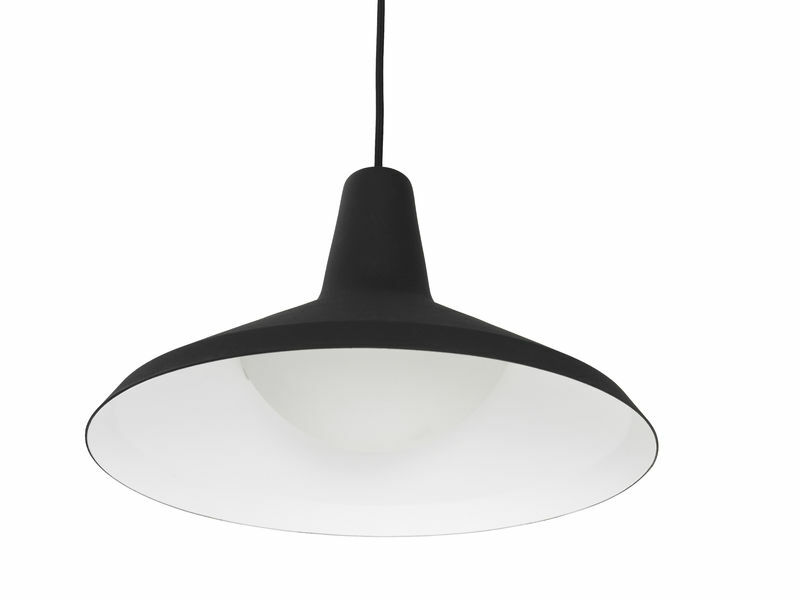 The G-10 pendant by Greta Grossman was designed in 1950. 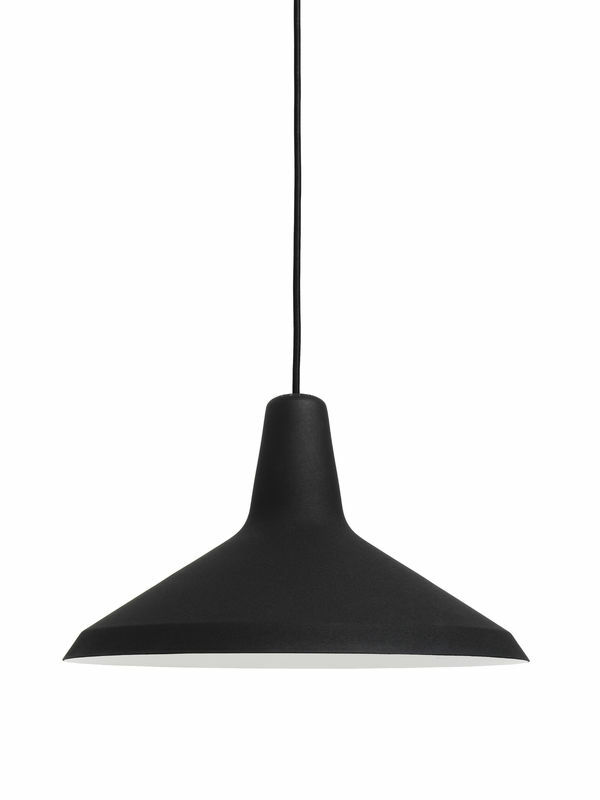 The lamp shade is heavily powdered steel giving it a rough surface. 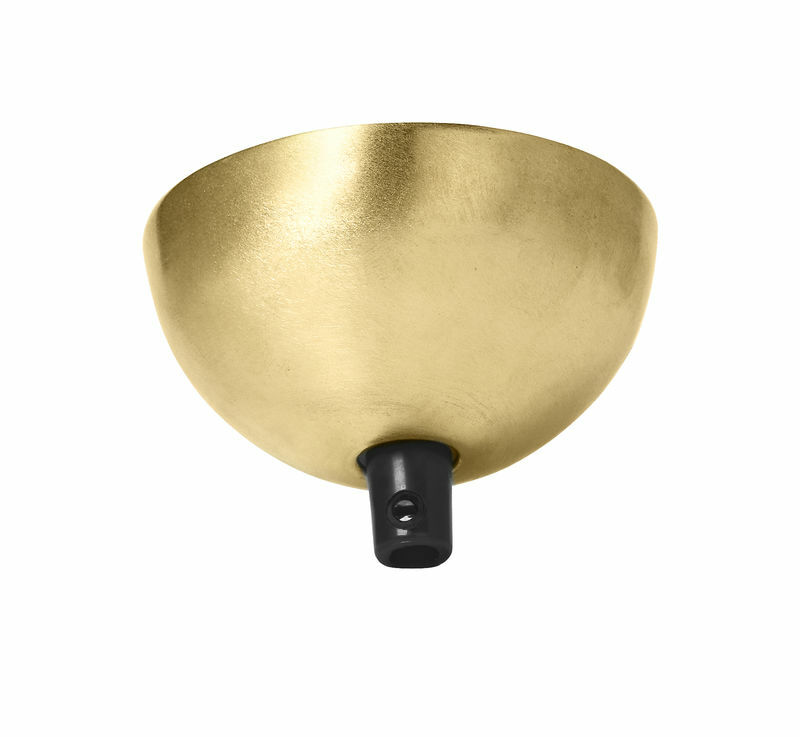 The ceiling cap in brass is not polished and it will change colour and receive distinct patina over time.